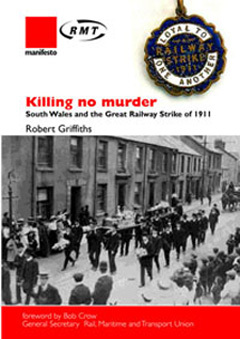 The 1911 railway strike in south Wales raised important questions about power and class consciousness and the direction of the working class movement in the early years of the last century. An earlier version of this book was first published in 1986, in Welsh as Streic! Streic! Streic! This new edition corrects and extends that work, while remaining in essence an English language translation of it. The author collaborated with Gareth Miles in the production of the 1983 television film of these events by Cwmni Ffilmiau’r Nant – broadcast as ‘Y Gwrthgiliwr’ and, subsequently, in English as ‘The Deserter’.Robert Griffith’s aim, then as now, was to help shape contemporary revolutionary political consciousness among working people and within the labour movement. Robert Griffiths is general secretary of the Communist Party.